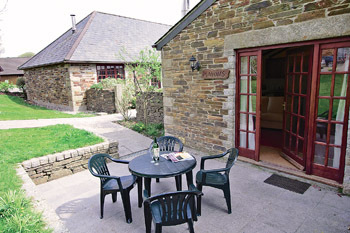 Minions Cottage is one of a number of cottages available at Hengar Manor. On the western fringes of Bodmin Moor and just 20 minutes drive from the magnificent surfing beaches of north Cornwall, these attractive and very comfortable properties enjoy access to an outstanding range of facilities. 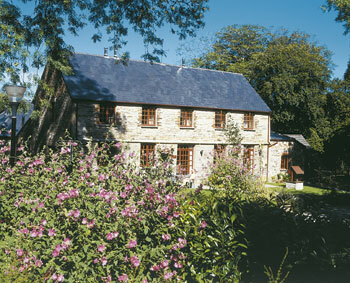 Hengar Manor house and its cottages are set in the heart of its countryside holiday village. 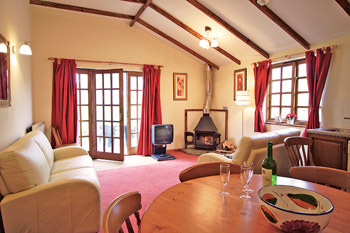 The 35 acres of parkland have additional lodges and villas with woodland walks and fishing lakes. The cottages, grouped around a landscaped courtyard, have been converted from the former coach house and stables, whilst The Gun Room, The Secret Garden, Butler's Quarters, Maid's Retreat and Country View form part of the impressive county house, which dates back to 1620. The Manor House boasts an Italian restaurant and a café bar. Set on the first floor Morellos offers a relaxed atmosphere where a wide choice of pizza and other Italian dishes can be enjoyed, whilst Café Torrelli, situated on the ground floor of the Manor House offers a variety of Italian coffees, cakes, pastries and light snacks. Visitors automatically enjoy club membership, giving access to the entertainments lounge, Hengar Tavern (where bar food and a takeaway service is available), the 25 metre indoor swimming pool with slide, separate spa, toddlers' pool, sauna, steam room and solarium. Other indoor facilities include pool tables. The grounds include a 9 hole pitch and putt course, crazy golf, tennis courts, coarse fishing lakes (free fishing all year round), children's adventure playground, and toddlers' play area. This is a splendid area for touring with fine sandy beaches and the pretty fishing villages of Padstow, Port Isaac, Tintagel and Boscastle all within 15 miles. The magnificent Eden Project is about 20 miles and the south coast, and 'Daphne Du Maurier Country' around Fowey, are about 20 miles. Horse riding can be arranged on the moors and there are several golf courses within easy reach (Bowood Park, 10 minutes away by car). A well stocked shop and fishing tackle shop are both open mid April to October. • Indoor heated swimming pool with slide, jacuzzi and toddlers' pool. • Sauna, steam room and solarium (small charge). • Games room with pool tables. • Children's play ground. • 9 hole pitch and putt course. • Crazy golf. • Hard tennis courts. • Lounge bar and Tavern Restaurant; take away food service available. • Entertainments lounge. • Morellos Italian restaurant and Café Torelli with lounge bar open all year (Nov – Mar weekends only). • Coarse fishing lakes. Three bedrooms. Entrance through patio doors to open plan sitting/dining room with wood burner and kitchen area. Double bedroom. Two twin bedded rooms. Bathroom/W.C. (shower over bath).